Center of attention. 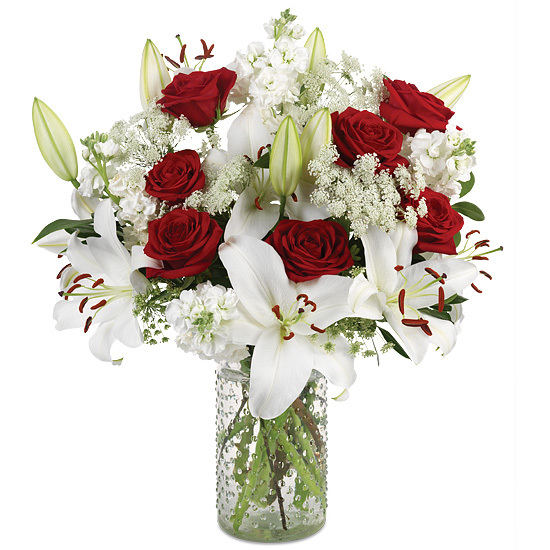 With a showy mix of white Oriental lilies (arrives in buds and will bloom), red Freedom roses, white double bloom stock, Queen Anne’s Lace and green pittosporum; this fashionable, fragrant bouquet instantly refreshes living and business spaces. 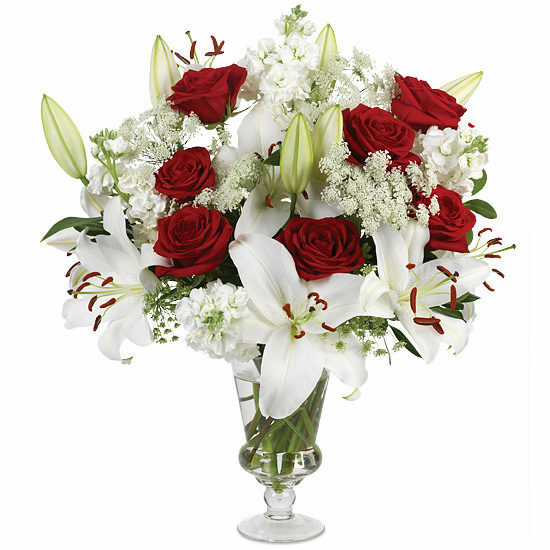 The classic, clear pedestal vase is perfectly suited for a mixed bouquet. Remove all foliage that will fall below the water line. Remove the “guard petal” on each rose – this is the outermost petal left on to protect the bud during shipment. You may also remove any petals that may have slightly bruised during shipping. We recommend cutting all stems underwater for best blooming results. Recut stems and change water every 2 to 3 days. As your lilies open, you may gently pull off the pollen anthers to avoid pollen dust.